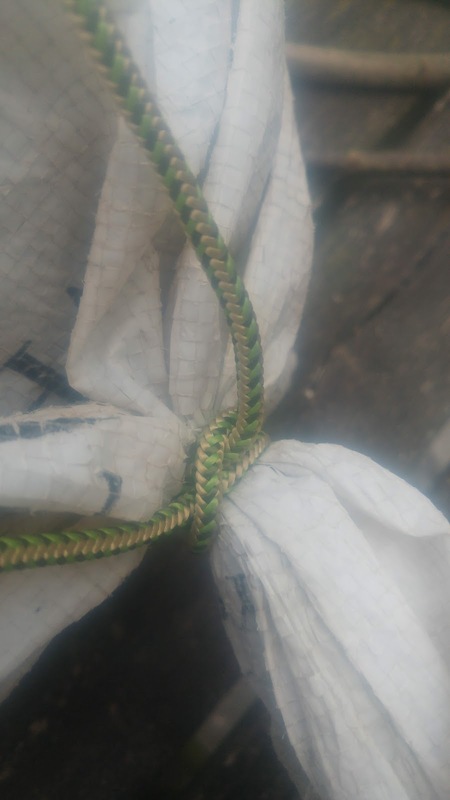 Drop the pebbles into each corner of the sack and tie a simple snare style running loop at the end of piece of cord twice as long (plus a bit) as your desired pack straps. 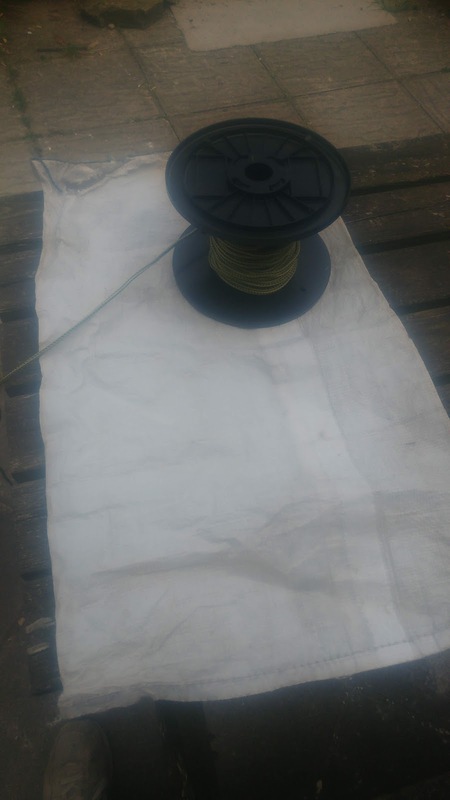 Do the same to the other end of the string and tighten each end around the bottom corners of the pack. 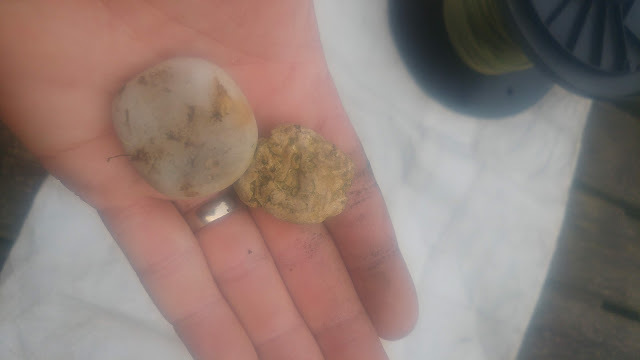 The pebbles will help prevent the cord from slipping off. 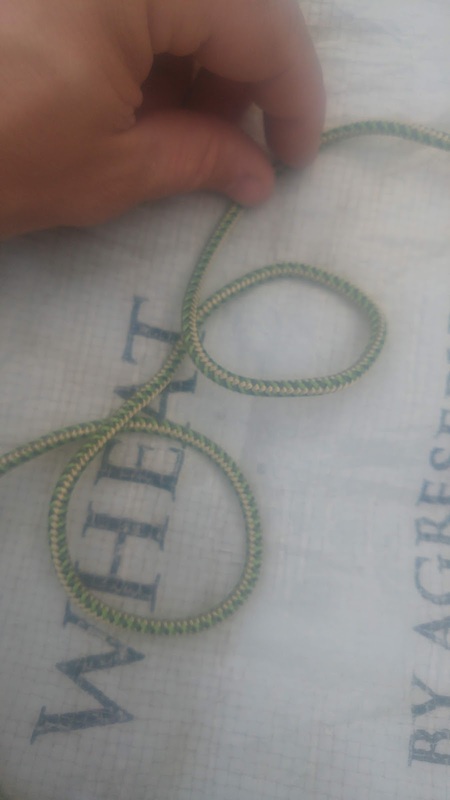 Now in the centre of the pack at the top to secure the straps and close the pack tie a clove hitch. To do this make two loops in the cord as shown above. Next cross the second loop behind the first and force the bunched up top of the pack through the loops. 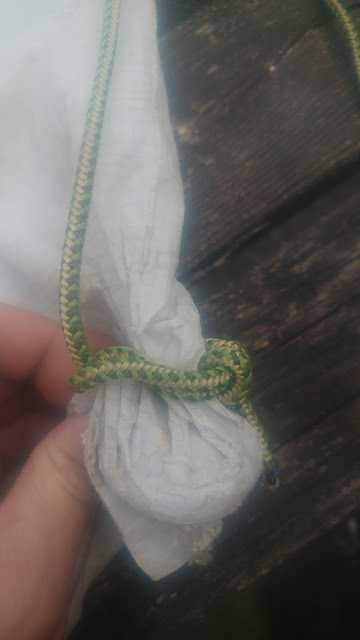 Now pull both ends of the cord and it will tighten, you know you have tied a clove hitch correctly if it forms an x shape as above. 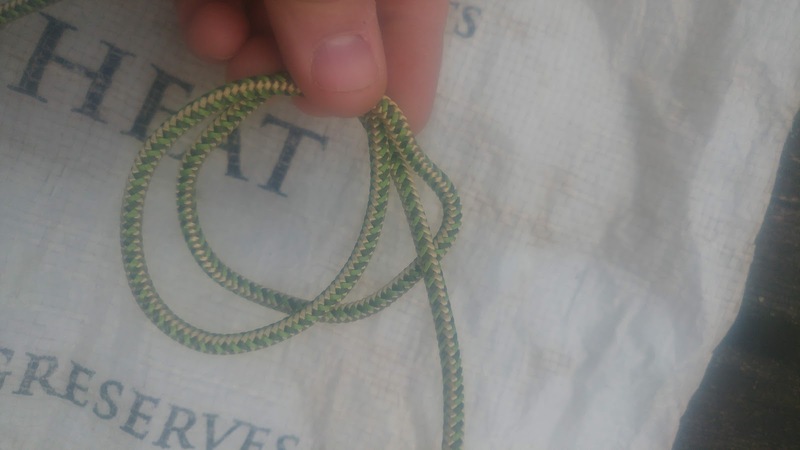 The clove hitch is a particularly useful knot for shelter building and climbing too. And there you have your finished pack, fashionably modelled by yours truly. The cord straps are not uncomfortable with normal loads but if you need to carry something very heavy consider using webbing or plaiting the cord to increase the surface area pressing on your shoulders. 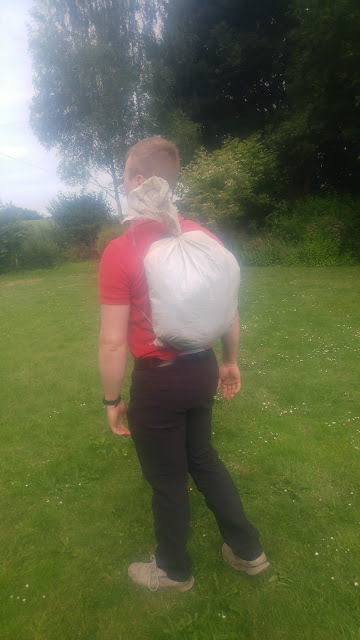 So give the grain sack backpack a try, it's a cheap way to carry a load and a good option if you haven't got anything else.